17 years of age or older. 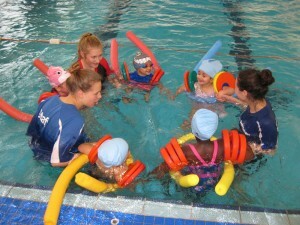 Hold the STA Level 2 Award in Swimming Teaching or acceptable equivalent. certificate (available online at www.trainsta.co.uk) or acceptable equivalent. Teaching swimming, lifesaving and survival techniques. Understanding how to develop participants through coaching sport. Understanding the fundamentals of coaching sport. Teach a 20 minute lesson to 6 pupils. Complete a 45 question multiple choice paper with a unit pass mark of 11 out of 15 per unit.